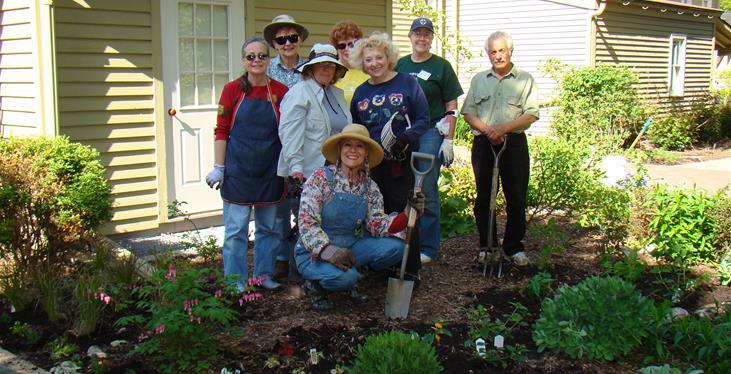 Volunteers cultivate, plant, weed, water and prune plants. Volunteers should be prepared to get dirty, walk on uneven ground, bend, kneel and dig. Volunteers can work alone, but groups are always welcome. Plantings occur in early spring and fall. Summer months are usually focused on weeding and watering. Volunteers help the Buildings and Grounds Department with projects such as painting, minor repairs, and event set-up and break-down. Volunteers support staff with preservation, construction, carpentry, plumbing or electrical projects. Projects could vary from building or refinishing wooden benches, framing doors and windows, or identifying creative solutions for maintaining Naper Settlement’s many buildings and structures. Eagle Scouts are welcome to inquire about projects during the spring, summer and fall. Staff can accommodate up to two projects at a time. Please contact us for more information. Projects have included picnic table construction, fence rebuilding and custom sprinkler systems.